I finally have this quilt finished except for the hanging sleeve. As Kathi would say…. done is good. This is one of the roses I started working on a few weeks back. Original drawing by a youngster several years ago, he’s all grown up now. 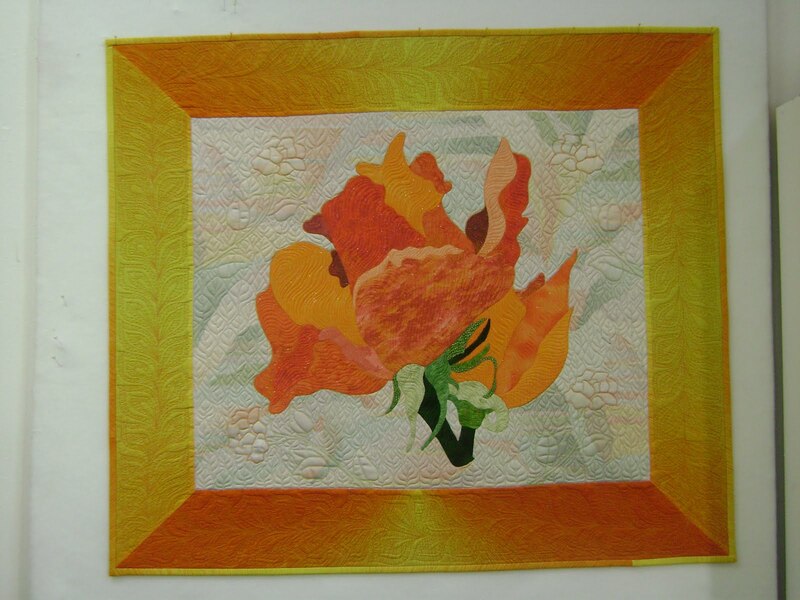 There are 4 freehand embroidery roses, one in each corner. I say freehand because they were not done with an embroidery machine. I did use a stencil to mark these. I placed the roses randomly in the corners. 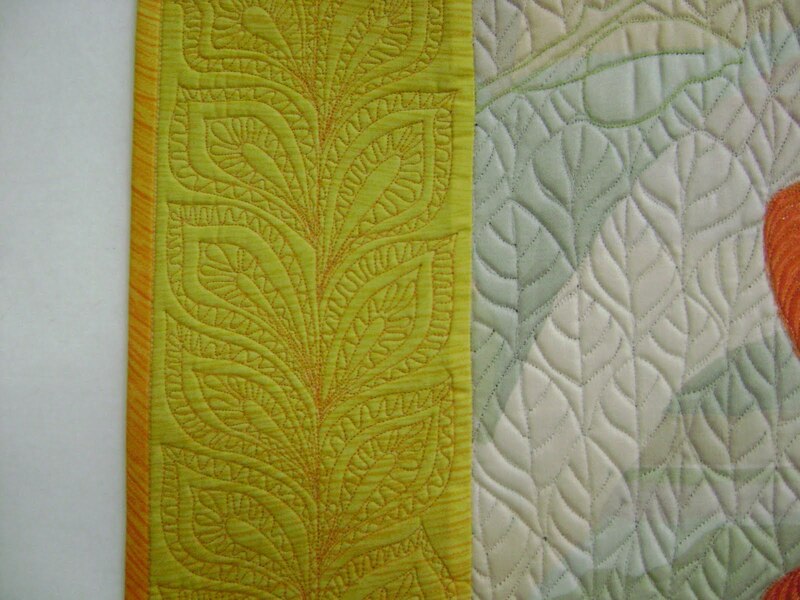 I did a sort of leafy vine on the outside border and a leafy background design. 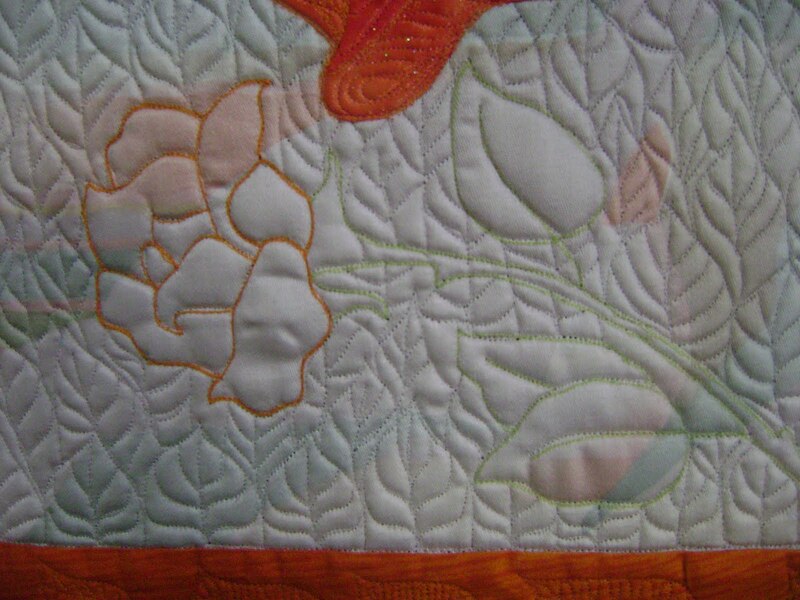 Here’s a close up of the contour quilting on the rose. If you click to enlarge the picture you may be able to see the sparkles on the rose. Looks like morning dew. It’s sparkle tulle fabric. Here’s a close up of some of the machine stitching to imitate what a pencil drawing would have on it. It’s a sort of cross hatching to indicate shading. Another close up…. hoping the sparkles show up for you if you enlarge it. 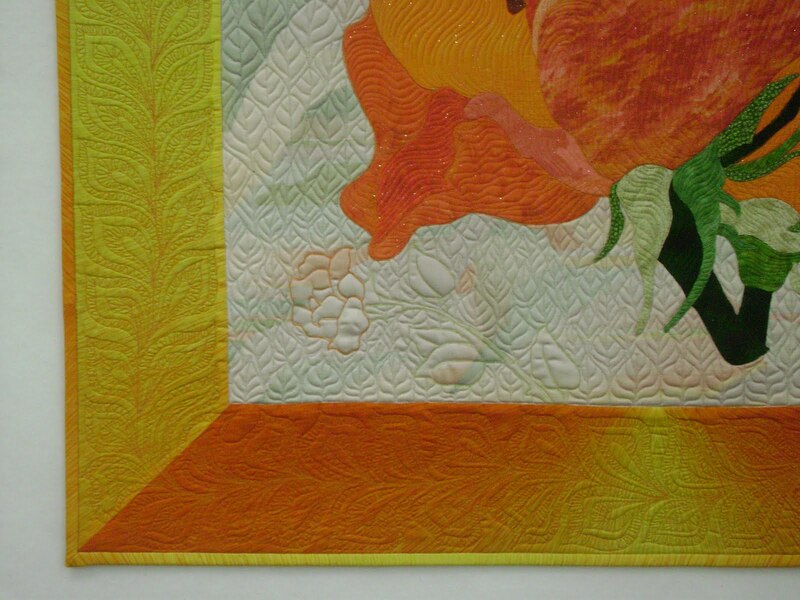 There isn’t any quilting inside the roses in the corners. This is a technique taught by Patsy Thompson. 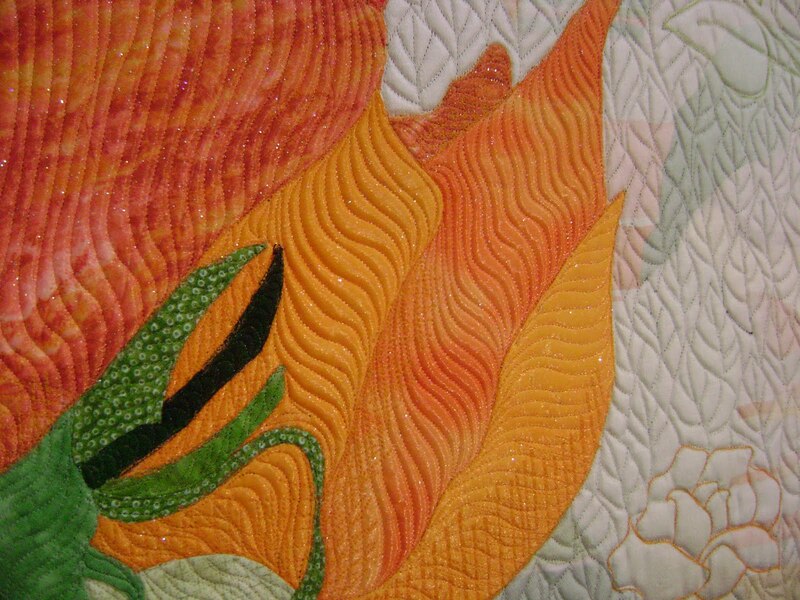 The background quilting design came from Leah Day. So there it is, what’s consumed a great deal of my time the last few days. I don’t know if I’ll get a ribbon or not but I sure have enjoyed working on it. 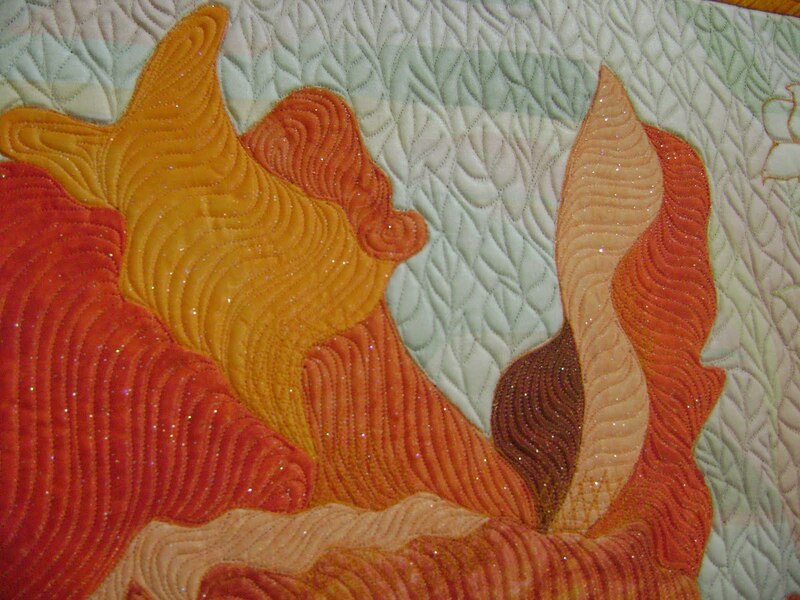 Being creative sure makes the quilting much more fun! Now I have to do the binding on the other two and the hanging sleeves on all three, then I can get back to working on a customer quilt. projects. 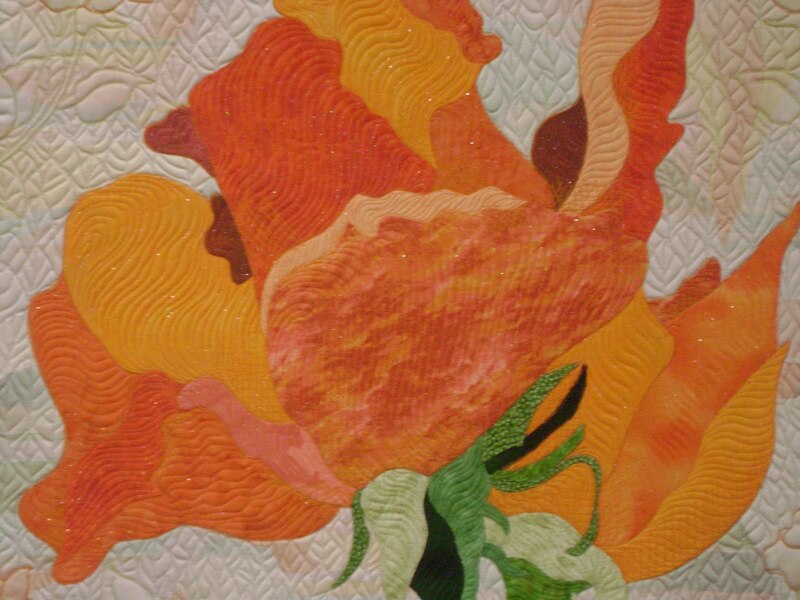 Love seeing what you quilt for your customers, but your pieces and always special. ABSOLUTELY BREATHTAKING. i am speechless. yes, me. So beautiful!!! I love this!!! love it!!! you did such a great job. love the sparkles,too. you should certainly win!!! It looks very lovely. It's neat how you can take a picture from a child and make it a wallhanging. 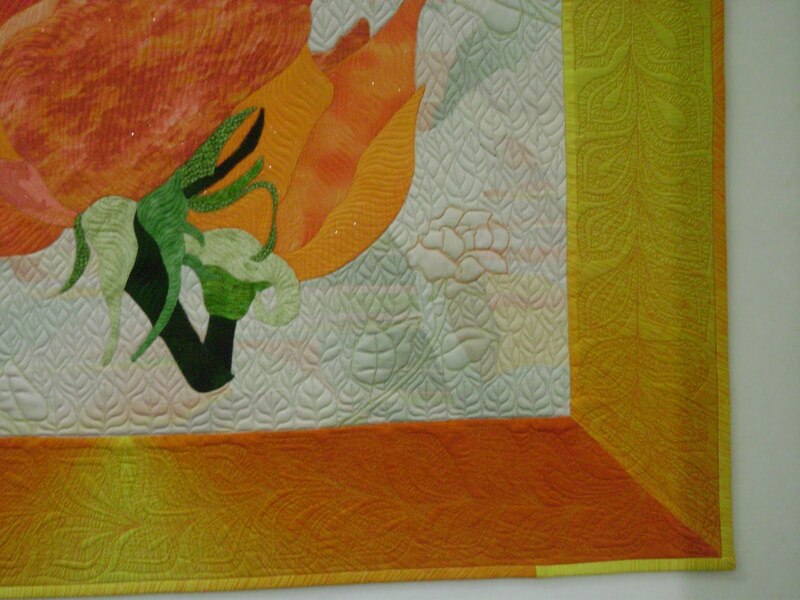 This entry was posted on August 10, 2010 by Anita in ART JOURNEY, Contest quilts 2010, Journey 2010, QUILTS - CONTESTS.